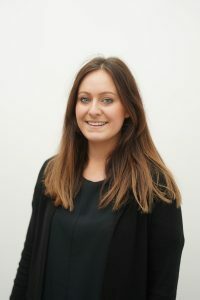 Beth Holt joined Derbyshire Law Centre as a Justice First Fellow and trainee solicitor on 8th January 2018. Beth is originally from Sheffield. She completed her law degree at the University of the West of England in 2013 and the Legal Practice Course in June 2015 at the University of Sheffield. She completed an MA in Legal Practice in June 2016. Her dissertation explored the characteristics of unbundled legal services, including the risks, the benefits and the difficulties. The aim of the dissertation was to determine whether those working in private practice endorsed or opposed unbundled legal services as a step in the right direction for greater access to justice. Subsequently, she considered the role third sector organisations have in the equation to potentially create a more affordable way for clients to access legal services due to the reduced scope of legal aid. Prior to obtaining the Justice First Fellowship, she worked as the Manager of the Leeds Personal Support Unit. The PSU is a volunteer led charity giving free assistance to those who are trying to navigate their way through the Civil and Family Courts as litigants in person. Her responsibilities included recruiting, training and supervising volunteers. Beth saw her role there as meeting the gap in legal assistance and support for vulnerable individuals brought about by the reduction in legal aid. Her work there, as well as volunteering at Citizens Advice, brought into sharp focus the destructive nature of LASPO for vulnerable individuals seeking access to justice. It was this experience that cemented Beth’s commitment to Social Welfare law and access to justice. Beth’s JFF project follows on from her Masters research and previous experience working at the Personal Support Unit. She will continue to examine the viability of ‘unbundling’ legal services to increase access to justice and develop a sustainable model co-ordinated within her host law centre. Beth intends to focus initially on the area of Employment law and litigation, where legal aid has been removed and representation at Employment Tribunal has not been publically funded for decades. She will look to put the idea of ‘unbundled’ legal services into practice by expanding on current projects at the law centre. Beth aims to create a pro-bono network through partnerships with third sector organisations, private practice solicitors, barristers and universities to increase access to specialist employment advice to disadvantaged groups and individuals. Derbyshire Law Centre would be the central coordinating hub overseeing the client’s case. The case would be ‘unbundled’ into set pieces of work which the network specialist would take on. The pro-bono work which could be offered through the project would range from preparing for and representation at either a preliminary or full hearing, a day’s casework on a complex case, a couple of hours advice to the claimant on the merits of their case, or drafting pleadings. Clients would then continue to be supported by being signposted to another organisation or under the Law Centre’s current Litigants in Person Support service project or Employment Tribunal Representation Service project, so that individuals are not left to navigate their way through a legally technical and complicated process on their own. Beth intends to develop this network by involving universities, where students can work with clients, supported by the law centre specialists, and be creative in the way that large private practice firms could ‘sponsor’ the network, to ensure its sustainability. She will then see whether this holistic approach could be replicated into a sustainable model which could be adopted by other practice areas and organisations.